Attendance and effort are the main drivers of students’ course grades, grade point averages (GPAs), course failure, high school graduation, and college readiness—much more so than test scores, demographic factors, or which classes students take. It may seem like it’s OK for students to miss class now and then, or to miss an assignment here or there, but it seems OK because nobody sees what would have happened if the student had been in class or finished the assignment. Even just a couple of days of absence or a few missed assignments can cause students to fall behind, and once students fall behind, it becomes increasingly harder to catch up. Often, students and their families don’t realize how much school they’ve missed. 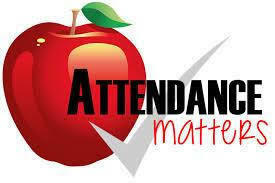 Missing just a couple of days a month adds up to almost a month of missed instructional time over the year and makes a student chronically absent. Students who are chronically absent are at high risk of failing classes when they get to high school and, eventually, not graduating. Students who are chronically absent in pre-k and the elementary grades make smaller gains on tests and are likely to score at levels that put them far behind proficiency levels. At the same time, students who have high attendance show higher learning gains than other students, while schools that improve attendance rates show increases in students’ test gains, grades, and pass rates. • Students who earn high school GPAs of 3.0 or better—the grades that indicate readiness for college—tend to have attendance rates (on average) of 98 percent in the middle-grade years. Their test scores in the middle grades are much less predictive of how they do in high school than their grades and attendance in the middle grades. • Missing just five days of school in the first semester of ninth grade decreases the likelihood of eventually graduating high school by 25 percentage points. • GPAs decline by almost one-half of a GPA point, on average, when students enter high school, and this decline is almost completely explained by increased absences and weaker study habits compared to students’ behaviors in the middle grades. This decline in attendance and effort takes many students offtrack for college, even among students with strong achievement in middle school. Information is from an educational journal written by Uchicago Consortium on School Research: Supporting Social, Emotional and Academic Development. For the full article, please email me. kcaruso@maynard.k12.ma.us.